Objective To realize layer-by-layer automatic compaction control. PANDITO® is an innovation designed and developed by Sol Solution. PANDITO® is an ultra lightweight dynamic penetrometer for layer-by-layer automatic compaction control. The constant hammer energy is supplied by a 5 kg mass. 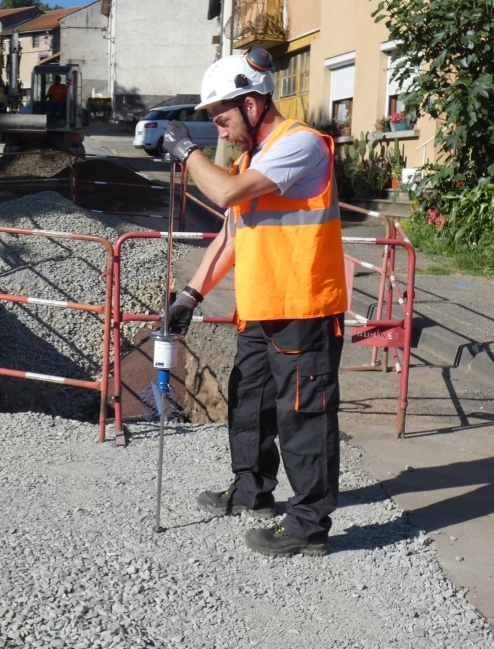 PANDITO® is extremely easy to use and interpret and has no electronic elements, making it accessible to all site staff. 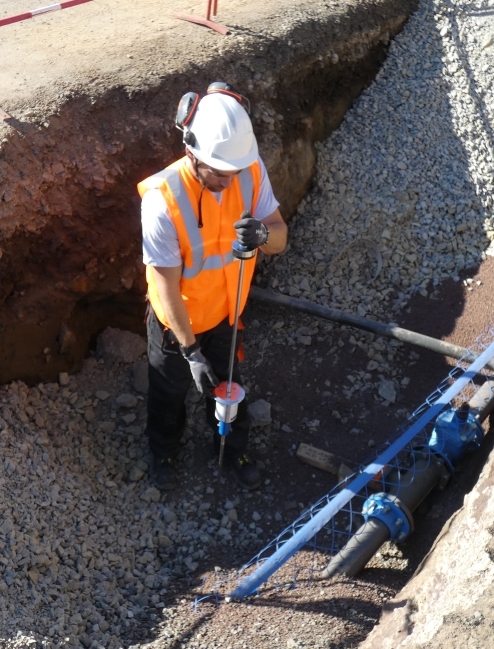 PANDITO® is the least expensive automatic compaction control technology available on the market.